Been out shopping this morning at a local antique fair, I came back with this! It needs a service and was not that cheap, but I think its all original ? apart from the replacement strap. I am far from an expert, but owned a PP for many years and think yours looks pretty good. 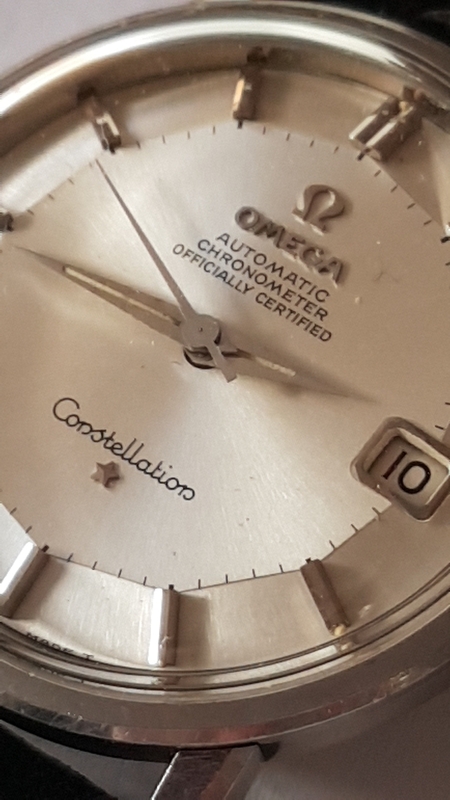 The dial looks original, could you post some better pics of it? Does it wind and keep time ok? It winds ok the hidden crown is a bit of a pain in the arse to wind ,i have only had it a couple of hours so not sure on time keeping will try and get some better photos but im 90 per cent sure its original. Good to hear. I am not sure the crown is original, its different to mine but it was a 563. Hopefully, walkerwek1958 will spot this thread and chime in. here you go the best I can do with my samsung camera phone on magnify! Sorry ! ,[IMG] [/IMG]try again didnt size them properly . you read on the internet. 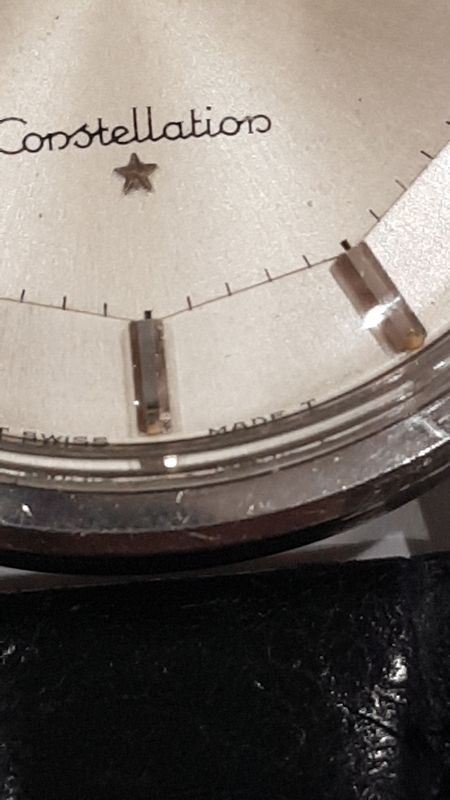 I think the case has nt seen a polish in a long while, the lugs, case still have a slight edge and the stars are still sharp on the caseback. you can also see the scratches . Nice looking watch, bit of tidying and it'll be a beaut I reckon. Good find. Don't be too concerned about the crown, in all likelihood it is ok, I am just not familiar with the cal 564s. I can see from the extra pics you posted that the case is quite different to mine and the crown looks to complement the case nicely. 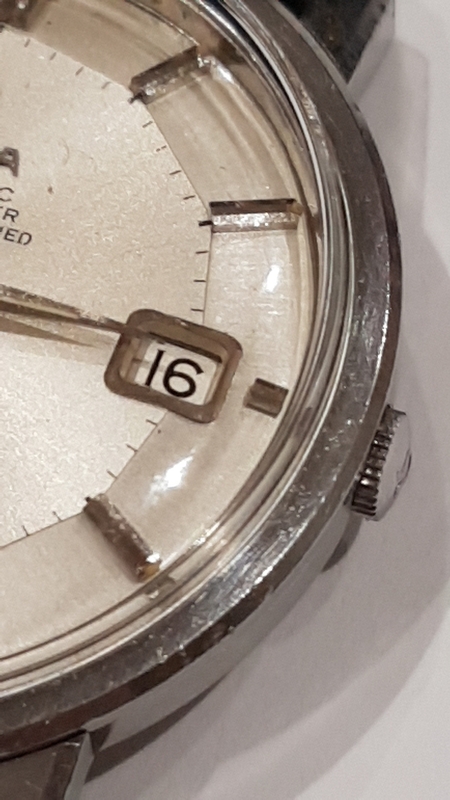 The serial starts with 2482 making it a 1966 watch. As it happens I've been wearing my PP today. The crown on mine is quite different but it's not a hidden one, & there's no recess like the OP's. So it may be correct for that watch? I may have the opportunity to buy a gold one in a while ,as the guy who sold me this today has one in his personal collection and asked if I would be interested. As a vintage collector I think these are the best looking, most desired Omegas. 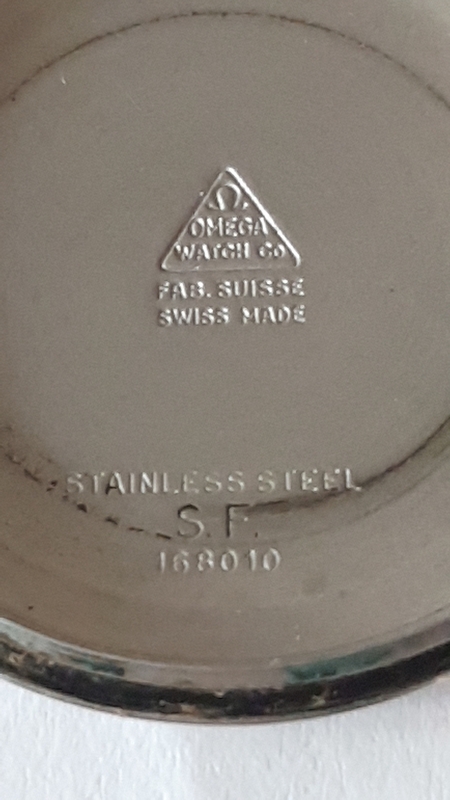 I am surprised that Omega never did a Heritage version. Looks nice to me, particularly the all-important dial. I have the same watch in my collection, same case reference but mine’s got an original black dial. The movement on mine’s tarnished and not as pretty as this one, but it’s been restored and runs very well. The concealed crown is a pain in the arse, I replaced mine and deliberately set it standing a tad prouder than it should, simply to make it easier to use. They are fiddly to say the least! This version is slightly bigger than the earlier ones (35mm vs 34) but with shorter lugs. Lug spacing is 19mm vs the typical 18mm for the earlier models. If Omega relaunched these the end product would be a hideous oversized parody of the original. 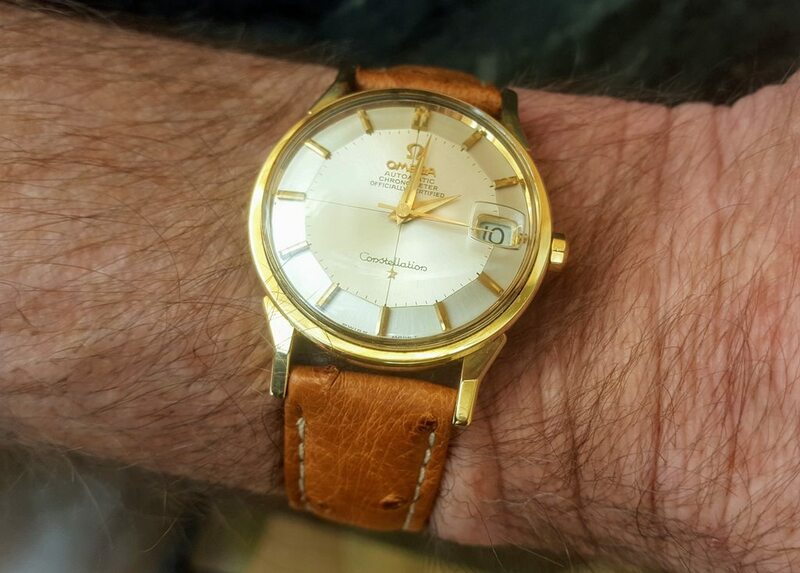 These watches exuded style and class.....something Omega have lost sight of thesedays. I have a problem, the watch stopped working late last night! I gave it a shake and I can hear some light scraping i assume from the rotor weight. I have had the back off this morning and all the gears are moving on a manual wind but the watch will not work either way. 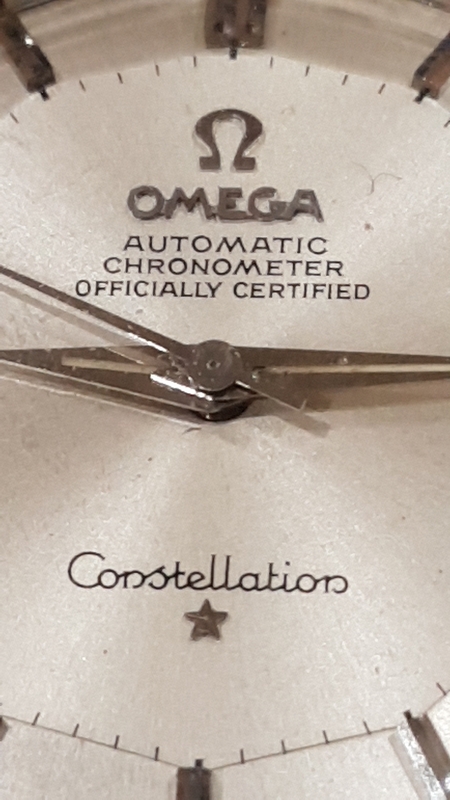 It’s always disappointing when a newly aquired watch stops running, in years gone by I used to buy from fairs and I always took watches to my friendly local repairer for servicing. Turns out he wasn’t brilliant but he didn’t charge a lot, but once I started fixing them myself I realised he’d cut lots of corners on some of my watches. Unfortunately the days of cheap servicing are over, the problems with parts availability for vintage Omegas has been well documented, no point in going over it all again, but it’s pushing prices ever upward. I’ve invested a fair amount in parts, but my stocks are limited. I try to replace parts when I use them but it’s getting harder. The movement on this one looks fairly clean, but it’s likely that the rotor bush is worn thus allowing the rotor to contact the caseback. This is a common problem, but it’s an indication that the watch hasn’t been thoroughly sorted out in recent years. 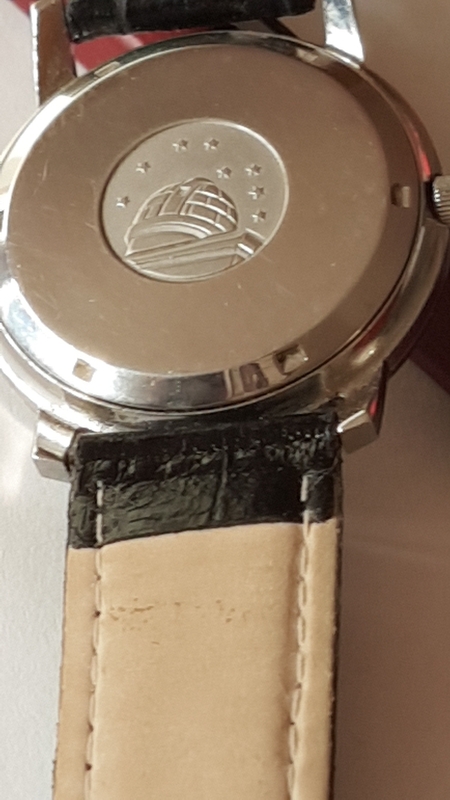 Ironically, my own watch, bought at auction for restoration, turned out to be in fairly good condition despite some tarnish to the movement; the rotor bush had been swapped at some point so that was one less job for me to do. Mine needs to come out more, it doesn’t get enough use! Thanks, I haven't heard of those lugs being described as dog-leg before. Actually mine is gold filled. I really like the two tone look. @ walkerwalk I have bought from bricks and motor auctions, antique fairs and internet auctions. I have found that you cant always get it right even the experts sometimes get caught out! this is the second time for me on 6 watches purchased ( both autos). 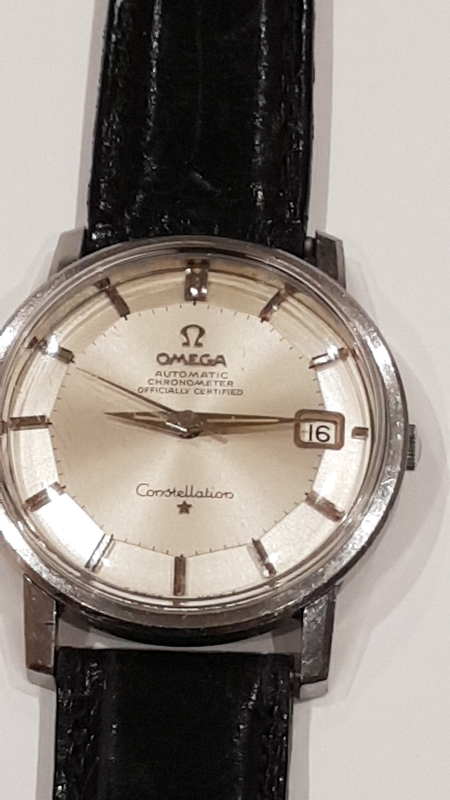 I have to except being a lover of old watches that thousands of them that are for sale ,have been lying in draws for years and because they were expensive items to buy back in the 50's 60s they were worn everyday and most had a very hard life! 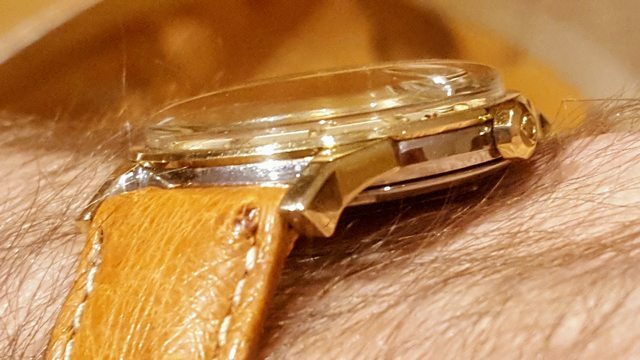 There was no tool, beater watches back then, no mobile phones to give you the time, you were very lucky to have an Rolex, Omega, Longines ect and you wore it everyday no matter what you were doing! I checked this watch very carefully, but the room was busy lots of noise and I couldnt hear the rotor scrape. Im hoping its something silly as the watch was working fine whilst I was there, coming home and for a few hours here. I was told the watch had no record of being serviced so i expected to get this done. Would the rotor scrape stop the movement? I would of thought that the rotor just stops the auto winding but you can still wind by hand and the watch would work. I had a similar problem with my Longines Flagship and Brendan said it was the auto reverser gears ( I may have got that wrong) . The watch still worked and kept good time,I had to get a good used movement for a parts harvest.As you know this is now the only way forward if you have no new parts. 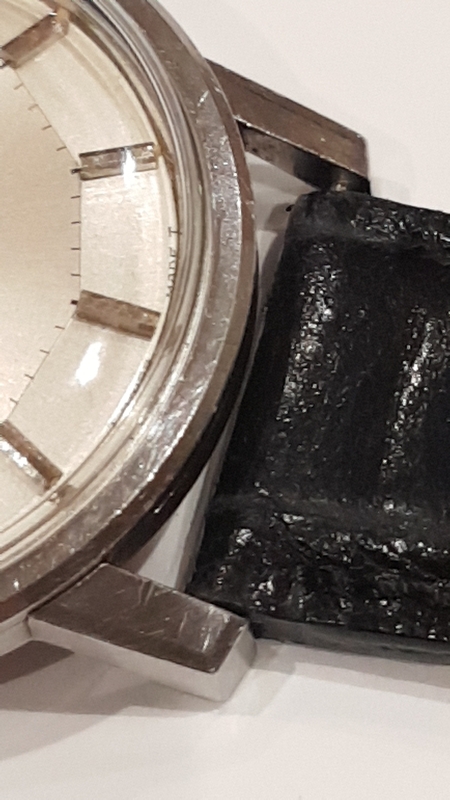 Do you think I could have a lump of dirt from unscrewing the caseback lodged in one of the gears? 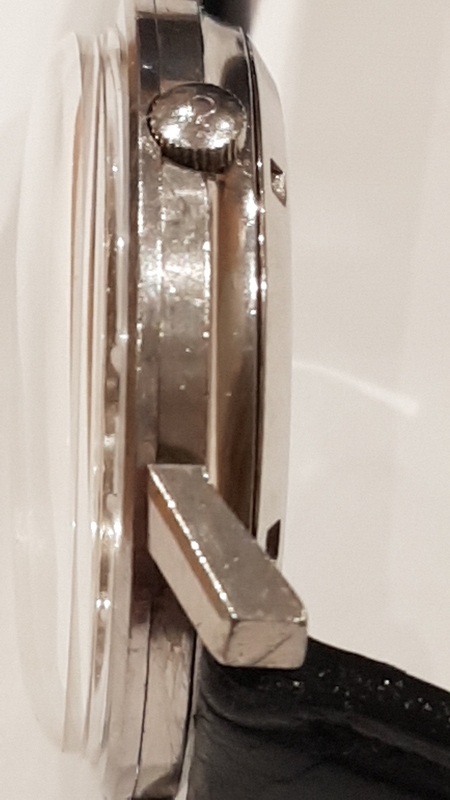 i removed the caseback at the stall before i purchased to look at the movement check numbers ect ,then got home and run a toothbrush around the caseback before I completely unscrewed for the photos I uploaded here. 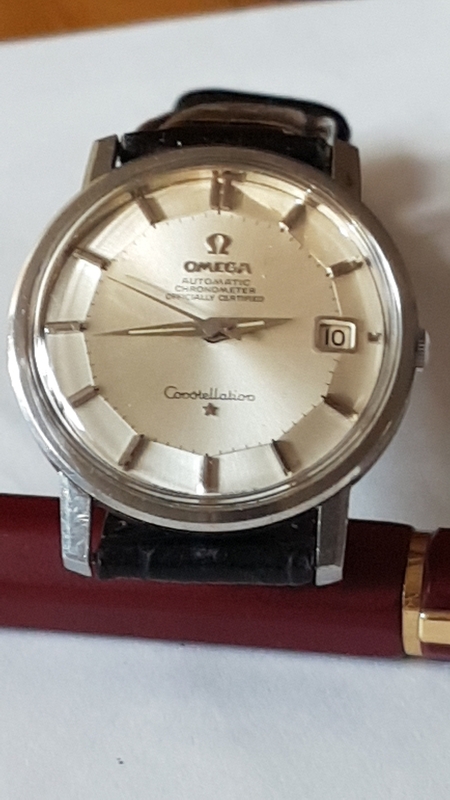 Unless there’s evidence of recent service, the majority of old watches for sale are not running well. 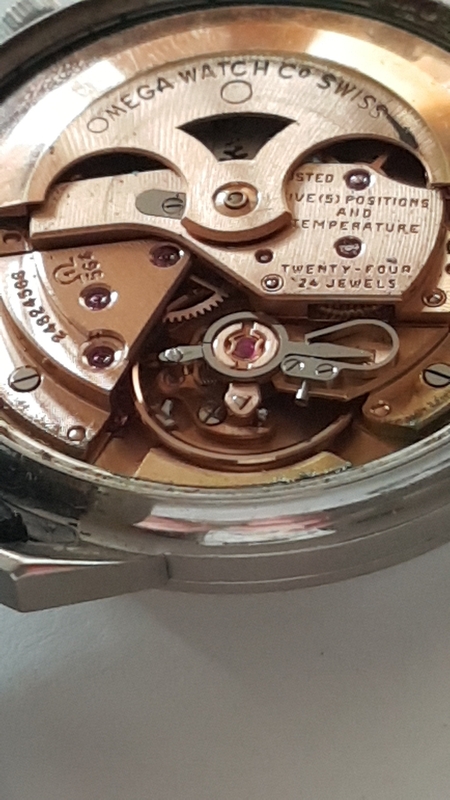 If the rotor’s scraping against the caseback you can usually feel it; witness marks on the rotor and caseback will be evident, but in some examples the marks are oresent but the rotor bush has been replaced so there’s no longer a problem. Fitting a new rotor bush is fun. The part itself costs around £25, fitting isn’t too difficult, but it then has to be reamed to the correct size and that’s a very tricky job. Get it wrong and the new bush is no better then the old one. Generally, the whole job takes around 1 hr, most of that is spent reaming the bush to get a good fit. Not my favourite job. I agree, I think I got caught up with looking at the dial too much making sure it was not a re dial ,as its in such good condition. I have looked again this morning the rotor is not very loose to my untrained eyes. My Flagship had scrape marks in the case back but the rotor weight was fine, it was from a previous problem. I am booked in with Simon Freese on fri morning to asses the damage and see where we go from there. If you remove the back, hold the watch dial up, look at the edge of the rotor with a magnifier, and gently lift it with a fingernail, you will see the amount of freeplay. On a good one there's approx. 0.5mm, on a bad one there's more than 1mm. Simon will sort it out, he can probably ream the new bush in much less time than it takes me, he'll have done plenty in his STS days! Thanks I just hope hes reasonable priced! I have only just found out about him, spoke with him today. The good thing is his workshop is about 10 miles from my house. He’s one of the very best, so you can’t expect him to be the cheapest. He makes a living at it so he’s charging accordingly. He’s also a good guy, he’s helped me a couple of times in the past and he’s always happy to give advice to self- taught monkeys like me. Strongly advise that you get the watch fully sorted, trying to skimp be doing partial repairs isn’t a good idea, especially in something vintage. He said that a service will not be too costly and because I know/ have a bad feeling that there are other issues with this watch, apart from the rotor weight. I am hoping he has better access to genuine parts ,so i wont have to get a second hand working movement from ebay for parts harvest. Which I have found on Ebay for a few hundred pounds from Spain. A word of advice: don't start trying to source second-hand parts yourself, leave it to the guy sorting the watch out. I`m sure Simon can get whatever he needs for this one. I also have a good movement parts stash for these. Buying second hand movements really is a waste of money if you don`t know what you're doing, usually they all have wear in the same places. I buy them up if the prices are good and I stumble across something, but you really do need to know what you're looking at. I would bet a pound to a penny that I know what'll need replacing on your watch, they all wear in the same places.